Re-blogged – apologies as an earlier re-blog did not include the actual contents of the blog. People across the globe are being told that they need to continuously grow and develop. There are no jobs for life, no guarantees. In order to survive you need to ‘upgrade’ your skills and be a ‘life-long learner’. To stand-still, to pause for a moment, is to fall behind. Before you know it you have become a ‘laggard’, somebody who missed the ‘wave’ or missed the boat altogether. Our mission in life has become to grow ourselves – whether you work or are unemployed – in order to help grow the company or organisation we work for, should you have work. And even if you find time for yourself in all this, you need to work on your inner-self to grow as a person – there’s a whole industry around spirituality, finding personal happiness and inner-peace and so on. Even meditation is becoming a commodity and a growth industry. Even in working on yourself you can outcompete others. When someone tells me “I meditate every day,” it sounds a bit like “I am better than you are” which ironically contradicts the entire philosophy underlying meditation. In our spare time our other pre-programmed mission is, not to meditate, unless you pay for it or at least take a professional meditation course, to be diligent consumers. We need to spend our money. And when we don’t have any, we need to spend someone else’s money. We need to play our part in both sides of the 24/7 economy, if we don’t consume, everything will come to a grinding halt, so we are told. In being told this we are addressed as consumers, not as citizens. From birth onwards we are taught to be unhappy with who we are, so that we constantly look for ways to do better, to keep up won’t cut it. Juliet Schor’s “Born to buy” and “The over-spent American” shows some of the ramifications of this kind of programming and wiring of the brain. In “True Wealth” she suggests some alternatives. Our sustainability crisis above all is a crisis of values, coupled with a lack of imagination and creativity. It is no surprise that there are counter movements rising such as the ‘transition town movement’ and the ‘occupy movement’. It is no surprise that there are junior activists and scholars but also senior leaders around the world who have seen it all who are now, retired and, granted, in comfortable positions, declaring that we are on a wrong path and need to explore the non-material side of being, consider abandoning the idea of continuous growth and start thinking about something like “dynamic equilibrium” and even “selective de-growth” and “sustainable contraction” instead of sustainable development. Anyway this is becoming a bit of a rant – my apologies – but how do we begin to develop new systems and lifestyles (or re-discover old ones thatin hindsight turn out to be more sustainable)? What alternative values and ways of working and living together might be helpful? Where might we find some examples? I offer you a paper that was published a few weeks ago that only touches on some ideas. But it you have other ideas – please leave a comment! The journal ‘The Learning Organization’ has just published a special issue on “The importance of educational learning for organizational sustainability” edited by Peter Smith. The special issue has a paper I co-authored with a very talented graduate student of Wageningen University – Lisa Schwarzin. It blends the wonderful research experience of Lisa in India, where she spent some time investigating a “sustainable community” in Auroville, with some research we did in a Dutch “sustainable community” in the town of Culemborg, near Utrecht. In this contribution organizational sustainability has a normative underpinning that considers an organization or a community sustainable when it contributes to a more sustainable world as can be understood with our current knowledge and understanding of what sustainability might entail. In other words, a sustainable organization does not refer to an organization that succeeds itself in keeping on going by maintaining, for instance, profitability, but rather to one that, given what we know today, successfully balances people, prosperity and planet by searching for a dynamic equilibrium between these 3Ps. Ultimately such a balancing act may require a shift altogether from the maximisation of profit to something completely different such as the maximisation of meaning. This is a different vantage point from so-called green economist perspectives that tend to argue that there is little wrong with the principles of (neo)capitalism, but that businesses and industries need to adopt production methods that are more efficient (World Bank, 2000). This call for increased efficiency and environmental mindfulness tends to be coupled with the belief that technological advancement can put off the exceeding of the Earth’s carrying capacity. 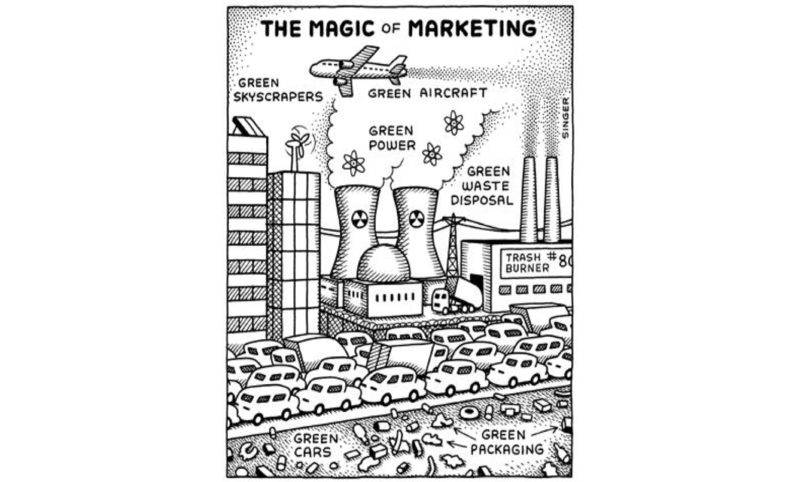 Furthermore, green economists also tend to see the ‘tremendous potential for growth’ that the greening of production and consumption offers (green as a growth industry) (Makower and Pike, 2008). While the green economy appears to be booming these days, there is a modest but growing undercurrent that suggests that ultimately a transition towards sustainability will not be the result so much of ‘doing things better’ by optimizing our current hegemonic systems but rather demands that we ‘do better things’. The latter requires more fundamental changes in the manner in which we live, work and spend our leisure time, et cetera, and on the kinds of values that we pursue. In other words, sustainable developments concern system innovations that require an integrated redesign of products, lifestyles, processes and structures. This paradigmatic “whole system redesign” perspective (Sterling, 2004) is increasingly supported by economists (McKibben, 2007) as well and by emerging strands within economic sciences such as industrial ecology and ecological economics. In this article we are particularly occupied with the question of how to engage people, organizations and communities in these more fundamental transitions, while recognizing that there is still much to gain from doing things better.